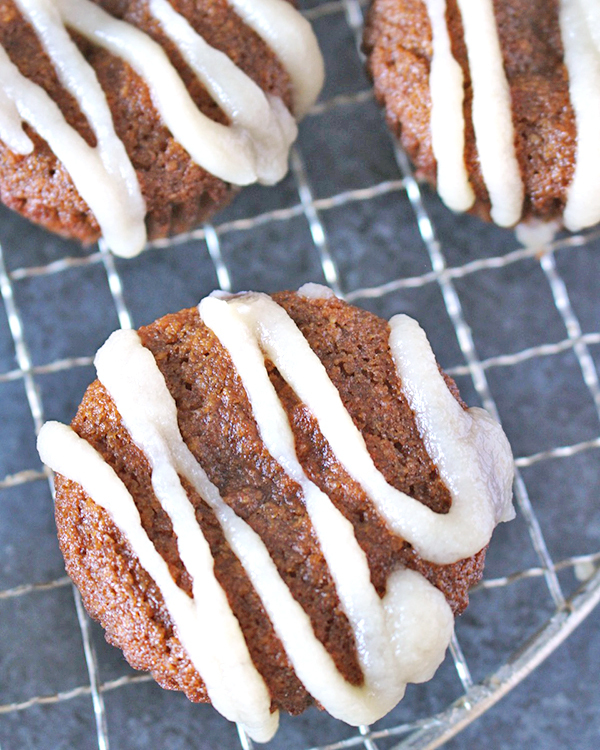 It’s that time of year again for all things gingerbread. 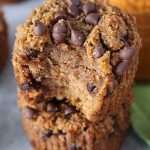 My Paleo Gingersnaps are a popular recipe and I wanted to create a muffin with those same flavors. These came out so good and are easy as well. Everything is mixed in one bowl by hand and are ready in under 30 minutes. Although the ingredient list may look a little long, most of it is just spices that you most likely have already. 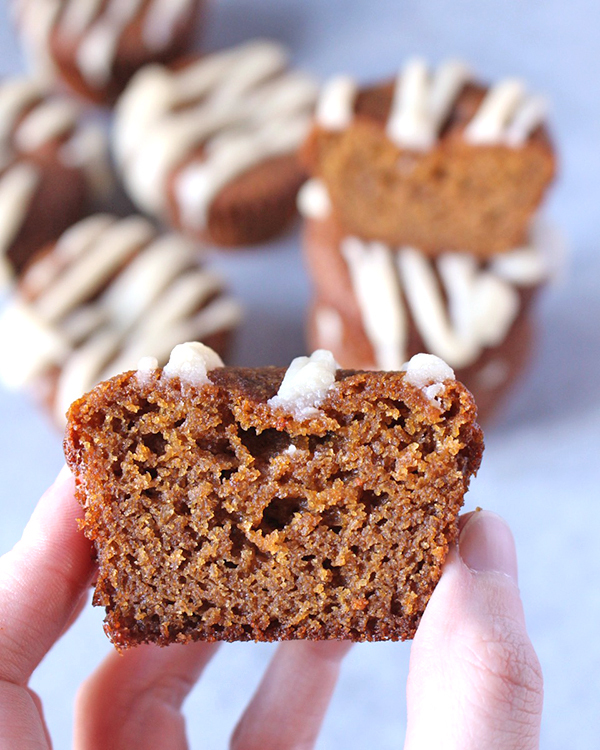 The Golden Barrel Molasses helps give it the classic gingerbread flavor. 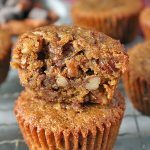 Of course the spices are needed, but the molasses adds so much flavor and richness and it’s really an irreplaceable ingredient. The glaze is good, but it’s not actually necessary. To be honest, I added it mainly for pictures. Of course glaze is always good, but don’t feel like you can’t leave them plain. If you do decide to add it, it’s super simple and mixed up so quickly. 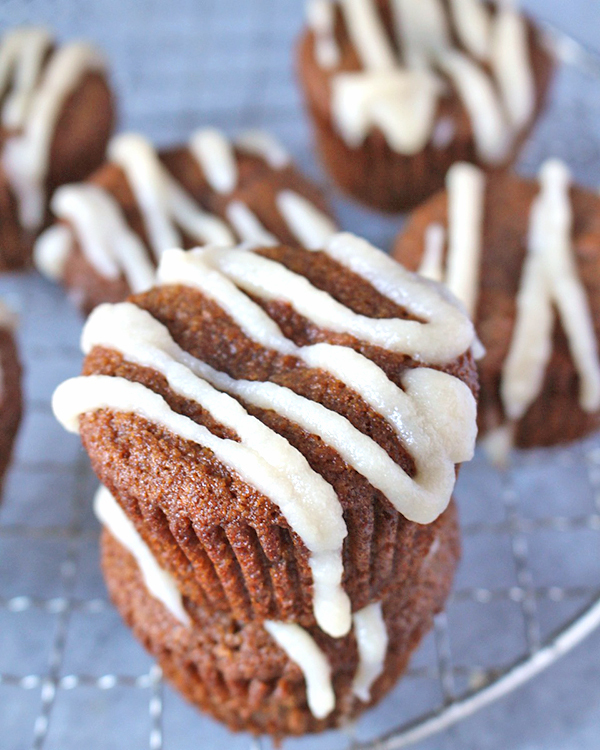 These muffins are so moist! 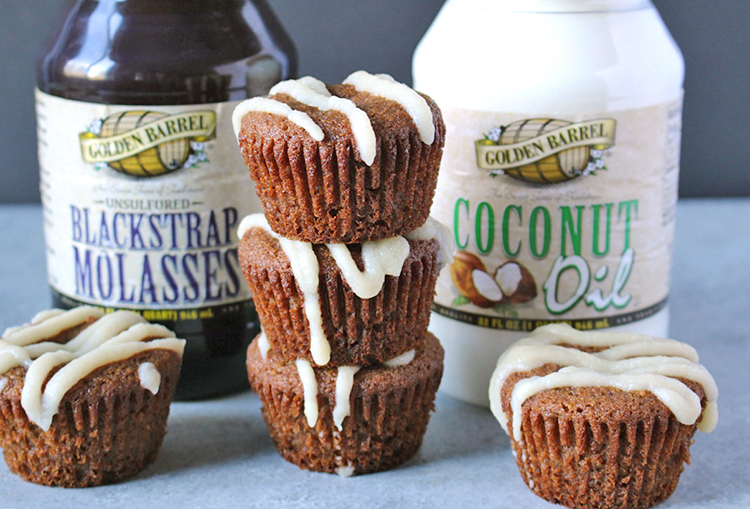 Between the Golden Barrel Coconut Oil and honey they are definitely not dry at all. I also love how they are completely sweetened with honey so there is no refined sugar in them at all. They are also dairy free and gluten free which makes them a healthier option. 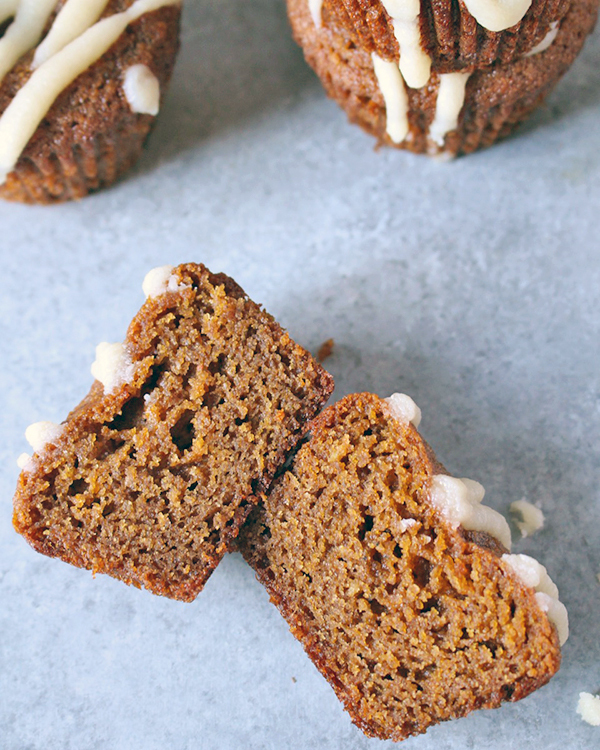 You will love how easy and delicious these Paleo Gingerbread Muffins are! 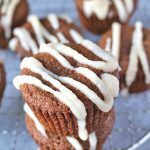 The perfect muffin to make this holiday season! Preheat oven to 350° and line a muffin pan with 11 parchment liners. In a large bowl, combine almond flour, coconut flour, allspice, ginger, nutmeg, salt, and baking soda. Mix until well combined. Add the eggs, molasses, coconut oil, honey, and vanilla. Stir well and until no lumps remain. Divide evenly between the 11 muffin liners and bake for 15-18 minutes, until a toothpick inserted in the center comes out clean. In a small bowl, combine coconut butter, honey, and water. 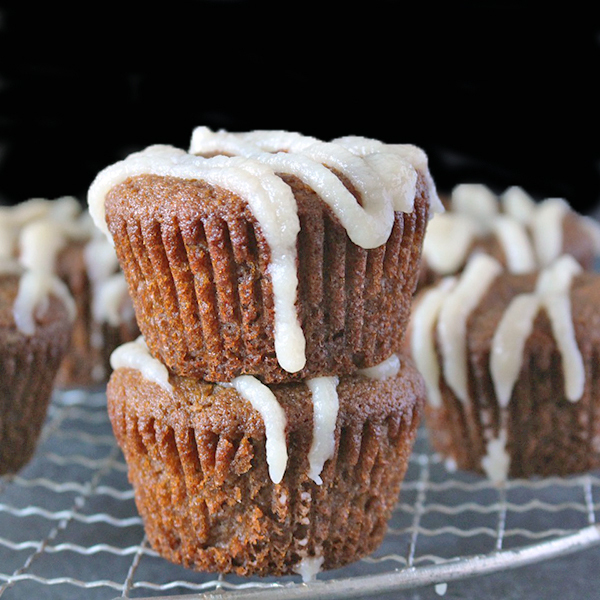 Whisk until smooth and drizzle over muffins. Do you happen to know the macros for these? Thanks, Casandra! I don’t because I don’t count calories or macros. I’m sorry! Hi Barbell Bunny- I’m sorry you didn’t like these. You can always adjust the spices to your liking. Are you sure it’s 2 cups flour? These needed more liquid & still came out VERy dry. Had to toss them. Hi Kay- yes, 2 cups almond flour. 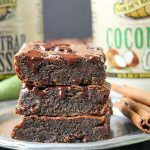 Did you use 2 cups coconut flour because that would make a big difference. That flour is very unique in the fact that it’s extremely dry and soaks up lots of moisture. This recipe only calls for 2 tablespoons of it. I’m sorry they didn’t turn out for you. These turned out perfectly! I was a little worried after reading the reviews, but there was no problem at all they are perfectly moist and the spices are perfect. Mine were delicious! Followed the recipe and directions exactly. No texture issues at all. My kids and husband love them also! Thank you for such a delicious recipe! You’re welcome, Jamie! 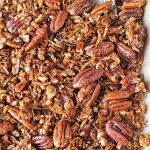 Thank you for trying my recipe and for the great feedback. I’m so lad everyone loved them! Just made my third batch of these in two days. They came out very moist. Not sure how they were dry for others. My kids and husband LOVE these. Thanks so much for trying them and for the great feedback, Leanne! I’m so glad you and your family love them! Could you add a little vanilla to the glaze? Hi Theresa- yes, of course! That would be delicious! Hope you enjoy!